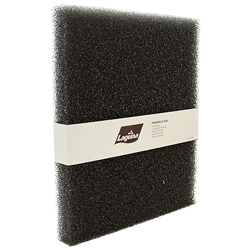 The PowerFlo Foam Insert is specifically designed to fit inside the Laguna PowerFlo 1000 External Biological Pond Filter. The coarse and porous material is ideal for performing mechanical filtration as well as some degree of biological filtration. The foam, coupled with other biological filter media inside the filter, combine to produce clean, clear and healthy pond water for pond inhabitants.